I have a confession to make: for most of my life, I refused to eat meatloaf! As a little girl a loaf of meat sounded about as appetizing as a kitchen sponge, so even the promise of dessert at the end of a meal couldn't convince me to finish a serving! Then I met Matthew and in an effort to learn to create his favorite meals, made meatloaf for the first time. While it's still not a personal favorite of mine, I have come to appreciate meatloaf! I'm convinced that little girl Annie would've been more attracted to meatloaf cupcakes too! I've made this recipe by the book before, but this week, due to an unexpected shortage of ketchup, I used BBQ sauce and it was delicious! That's what I call a creative meal. BBQ Meatloaf Cupcakes for the win! Oops! Forgot to get the garlic in this shot! I could almost make a meal out of this mixture! I always beat my eggs before adding them to the mixture. That way I know they are evenly distributed. Gotta make sure these are well oiled or your cupcakes will crumbles! 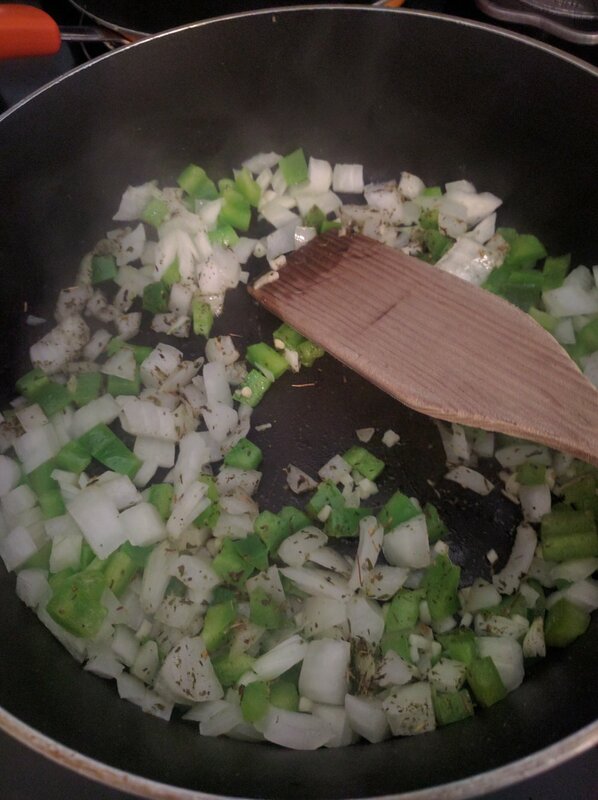 Heat EVOO in skillet over medium heat then saute onion, garlic, oregano, and green pepper for 2 minutes. Combine ingredients in skillet with the rest of the ingredients in your mixing bowl and mix well. Use extra EVOO to coat a 12 count muffin tin then spoon meatloaf mixture in. You can then spoon 2 tsp ketchup or BBQ sauce onto the tops. Bake at 350 for 25 minutes or until the cupcakes reach an internal temp of 160. Serve with your favorite sides! We do biscuits and green beans! Want some shalom in your inbox? I can make that happen! They love me! They really love me! Thanks for subscribing! Make sure you check your email to confirm your subscription!